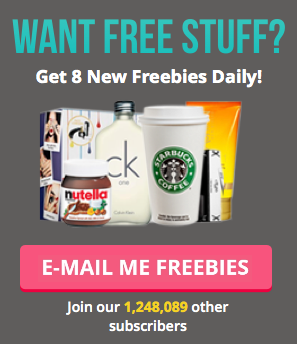 Free Canvas Tote Bag (1,000s of prizes available) - ends tonight! Brioche Pasquier UK are celebrating advent with their very own advent calendar chock-full of goodies! Open a new door every single day to be in with a chance of bagging 1 of a whopping 1,193 freebies. At Magic Freebies we simply love the countdown to Christmas - brands love to get involved in the festivities by giving you lovely lot some well-earned treats. Christmas is the most expensive time of year, so it can be such a great help to bag some fab freebies in the run-up to the holidays! There's a whole host of goodies up for grabs - anything from mugs, to teddy bears, to beanie hats and restaurant vouchers. There are even a massive 500 pencil cases available to get your hands on! All you need to do is favourite this link and remember to visit the advent calendar on Brioche Pasquier's Facebook every day during advent.